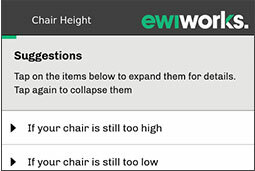 EWI Works › Blog › How Bad Is Your Text Neck? How Bad Is Your Text Neck? Text neck is becoming more prominent as smartphones blur the line between home and work. In the past couple years, the number of people experiencing severe neck pain has skyrocketed. The more hours you tilt your head in a day, the higher the risk. The average American now spends over five hours a day on mobile devices – many, including young professionals, exceed even that. It’s not the phone that’s the problem, but the posture. Head tilt, to be precise. Everybody tilts their head, but keeping it tilted for sustained periods is dangerous. Tilting your head for over two hours a day can cause severe neck pain. As children now start using smartphones and tablets at younger ages, text neck is starting to develop earlier in people’s lives. At first, you might experience fatigue or stiffness as your neck muscles strain to support your head when it is tilted forward. If left unmanaged, this can turn into pain or even regular headaches. Not only is this uncomfortable, but it affects your ability to work. In particularly bad cases, text neck can even cause radiating pain down the arm. This can result in a pinched nerve if left untreated. Head tilt is becoming so commonplace that most people don’t even realize they are doing it. In some cases, people can be so engrossed in the content they are consuming, that they don’t even notice they are experiencing neck pain or fatigue. Over time, this can even cause an early onset of arthritis in the neck. 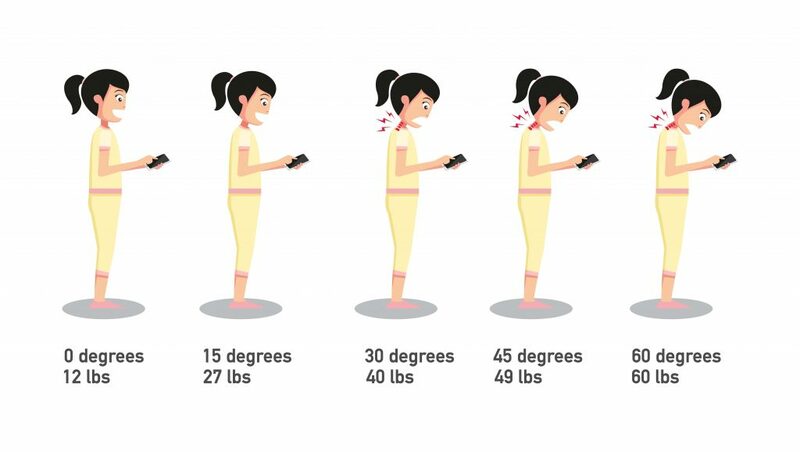 What can you do to prevent text neck? Most people feel as though they can’t stop using their mobile devices. According to Pew Research Center, almost 80 per cent of Americans now use a smartphone. The easiest thing you can do to stay safe is break up the time you spend on your devices. Put the phone down every fifteen or twenty minutes, then try to work with the head upright. This will also get you out of the forward bent posture most people default to when using their phones. Whenever possible, put your elbows down and lift the device to eyelevel. The more you tilt, the more you strain the neck. However, our top recommendation is implementing a regular stretching routine. We have a guide to doing this quickly and straight from your office available here. If your head is tilted down, it’s important to stretch the trapezius muscles on both sides of the neck and down into the back. All your muscle systems are interconnected, so make sure to work your abdominal muscles, as well. Have a well-developed core goes a long way. A lot of people also sit with their shoulders rounded, so make sure to do stretches that will open everything up. The last thing is to spread awareness. Text neck is affecting a huge part of the population. If you are a parent, limit the amount of time your kids spend with smartphones and tablets. If you are an employer, give your employees breaks and encourage them to stretch. It will boost their performance! Realistically, education on head tilt and neck pain needs to start in elementary schools, much like backpack awareness. Lastly, never walk while looking down at your phone! It is not only dangerous, but leaves you much more vulnerable to being robbed or taken advantage of. Find out how you can reduce your risk with our online Office Ergonomics and Office Stretching courses. 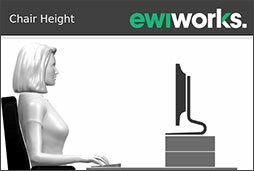 EWI Works offers many services that can improve your health and quality of life at work. Find out more about our Online Training, Services, and Resources. Follow us on Twitter for more updates and offers, or sign up for our newsletter at the bottom of our homepage.